It uses the traditional Churn Dash block, arranged in a modern style. I obviously like pink and ombre (check out My HST Quilt)and this one is no exception, having used a selection of Art Gallery Pure Elements for this quilt. The pillar style lends itself to an ombre colourway, but it doesn’t have to be that way! For those that aren’t a fan of the super pink, I’ve created a Pinterest board full of colour inspiration. 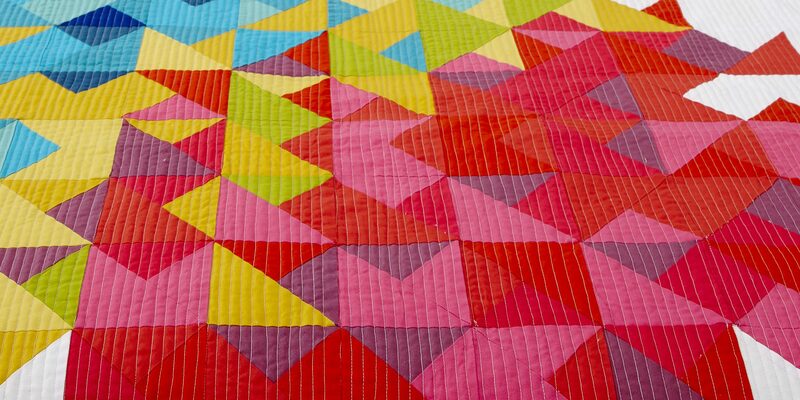 There are some really beautiful colour combos on there and I pretty much want to make a quilt in every combo! If you want to make this quilt , its available at 20% off till the end of Monday 15th October! – Check out my pattern shop for more info! Previous PostGrid Next PostRetro Snaps – New pattern and a Sewalong!